Sinowon has high-quality teams that understand technology and knows well about management, which lays a solid foundation for the development and growth. Sinowon runs a comprehensive production safety and risk management system. This enables us to standardize the production in multiple aspects such as management concepts, management contents, and management methods. All these contribute to the rapid development of our company. Looking ahead, Sinowon will always insist on the business philosophy of 'quality first, customer first'. Under the influence of enterprise spirit, we strive to be aggressive, hard-working and diligent. We pay equal attention to production and innovation and exert ourselves to create a first-class brand and establish a good enterprise image in the industry. After years of development, Sinowon finally gains a foothold in the Manufacturing Measurement & Analysis Instruments Electronic Measuring Instruments industry. Based on network operation, Sinowon has opened up a wider domestic and international market, greatly increased the market share and broadened the sales scope. Sinowon's vision measuring machine is manufactured in strict accordance with relevant national standards. Every detail matters in the production. Strict cost control promotes the production of high-quality and priced-low product. Such a product is up to customers' needs for a highly cost-effective product.Sinowon's vision measuring machine is produced in strict accordance with standards. We make ensure that the products have more advantages over similar products in the following aspects. 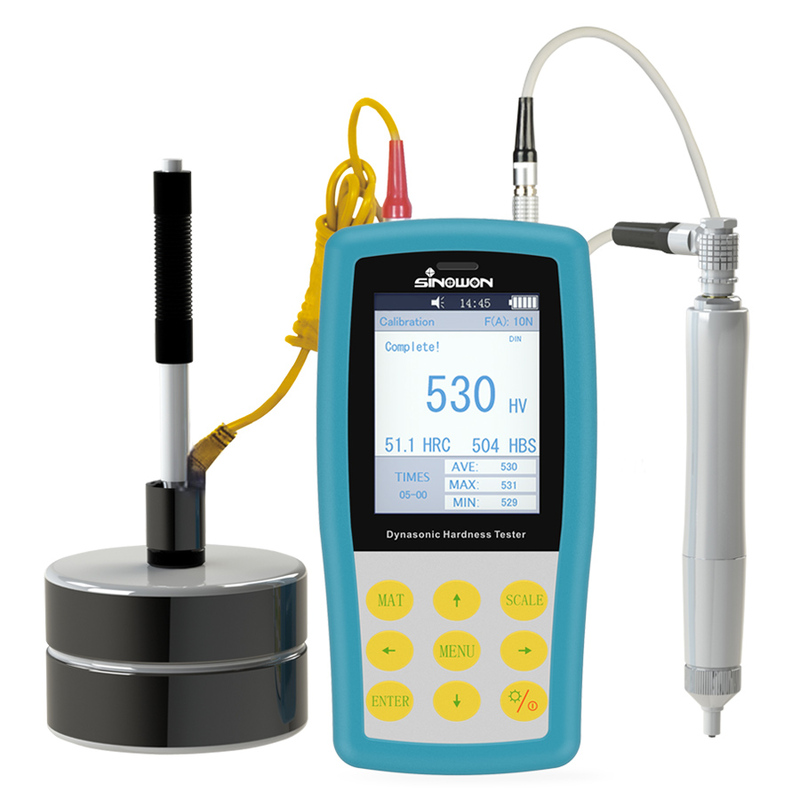 SU-400 Dynasonic Hardness Tester is a universal portable durometerwith twin—testing-method. It applies twin-method aboutstate ultrasonic contact independence: UCIand dynamic rebound: Leebto make hardness testing in one instrument, it solves the dilemma that Leeb method can not test the hardness of plating and coating(in UCI), and UCI method can not test the coarse crystal material in the casting industry(in Leeb). SU-400 can not only work with the UCI motorized and manual probes, but also work with theLeeb impact probe, it is universal to test the hardness of material with the fine crystalstructure or coarse crystal structure in the metal industry. SU-400 UCI probe system is perfect to measure hardness testing about the coating and plating, which can measure the hardness of chrome, copper plating, carburized layer and Nitriding layer effectively. 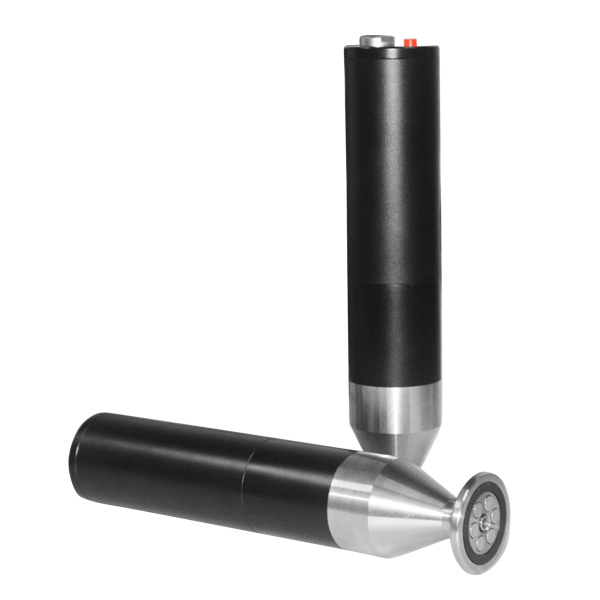 SU-400 is a NDT durometer due to the contact indention is too small to observe, it is one of the excellent solution to test hardness of finished products, such as, the mold, gear, shaft, rod, screw, rails, etc. SU-400 conforms the standard ASTM A1038-2005, DIN standard DIN50159-1-2008 and China National standard GB/T 34205-2017, GB/T 17394. ◆ One instrument two applications—Support ultrasonic probe and Leeb impact device. ◆ Metal shell—Metallic texture, shield electromagnetic interference effectively, improve instrument stability. ◆ Color screen display—Display the current measurement value, accumulative measurement value, Max, Min and Ave value. ◆ Bluetooth transferring—Support wireless Bluetooth print and data transferring. ◆ Mass storage—Save 1000 groups data. ◆ Calibration access—Save 20 groups calibration data without doing calibration for the same material over and over. Result Display Measurement value, Max, Min, Ave, single mode, batch mode, etc. Working Environment Temperature: -10°C to 50°C Humidity :30%-80% R.H.
1. Thanks to highly advanced production line, Sinowon has technically mature technology to produce Automatic vision measuring machine. 2. Sinowon Innovation Metrology Manufacture Limited. owns a patented technology in its Automatic vision measuring machine. 3. Sinowon sticks to professional quality of Automatic vision measuring machine for the purpose of being the leading supplier in the market. Ask!